I will show you one play, one play from 2017 that perfectly sums up why so many are in a perpetual state of frustration with Nebraska’s top cornerback, Lamar Jackson. The promise, the whiff, the frustration. Am I talking about the play or Jackson’s career so far with the Huskers? ¯\_(ツ)_/¯ The junior corner from Elk Grove, California, has 55 career tackles and only three passes defended. There are no interceptions. All three of those breakups came last year when Jackson spent the majority of the season on a lonely island being picked on by opposing quarterbacks. The reason Jackson comes in so high on this list is that after two full seasons, we still don’t really know if this is who Jackson is. Is there something the new Nebraska coaching staff can unlock, something the last ones couldn't? Is there something the “shoot your shot” mentality can unleash? Late in the spring, defensive backs coach Travis Fisher was asked who has improved the most. Jackson, he answered. Once he used "what God gave him a little bit,” defensive coordinator Erik Chinander said, Jackson did some good things. At 6-foot-3, 210 pounds, with long arms and speed to burn, Jackson should theoretically be an NFL prospect. He just hasn’t lived up to his 4-star potential from high school. Is part of that defensive scheme? (Chinander says no, so there’s that.) Or is that something else? At the end of the day, if Jackson makes that tackle on Penn State’s Juwan Johnson the play goes for 10 instead of 43 and Bob Diaco’s defense has done its job. What could Jackson do if he’s pressed up on receivers more often? 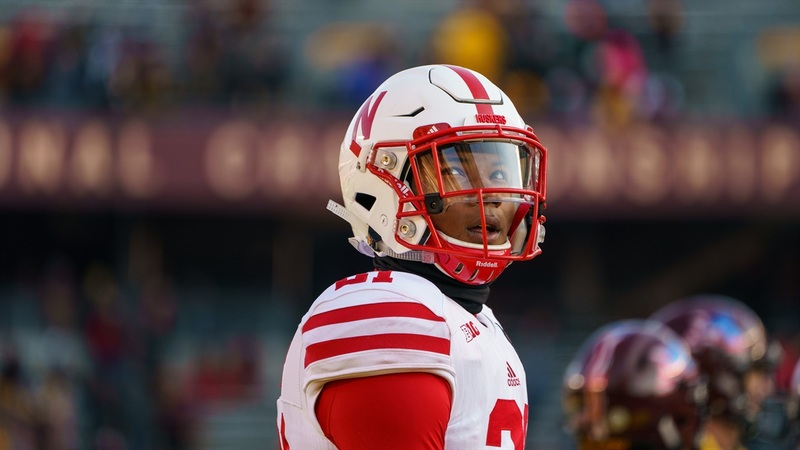 Well, he wasn’t a lockdown corner in the April 21 spring game but there was nothing that made you shake your head and say “here we go again.” He also recorded what would have been his first interception in a Husker jersey if the game had counted. Jackson, as Fisher put it, was at or near the top of the cornerback production chart all spring. He started for the Red team in the scrimmage. More likely than not, Jackson is going to play a substantial role in a somewhat thin secondary again this fall. There has to be more aggressiveness. There has to be real, tangible improvement. For two years in a row now, Jackson has owned his mistakes and said he’s working to be better. While that very public willingness to shoulder blame is admirable, the on-field actions have to match up with the talk. Jackson seems to know that and I’m going to believe him. Okay, I lied. Here’s one more video. We know it’s in there.